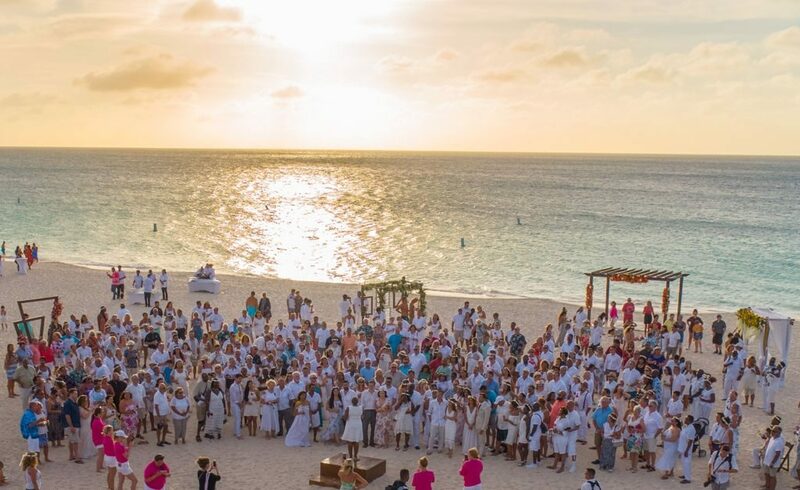 Mystical Entertainment Group made the trek from Newark Liberty International Airport to Oranjestad, Aruba for the destination wedding of Danielle and Anthony Cugliari. 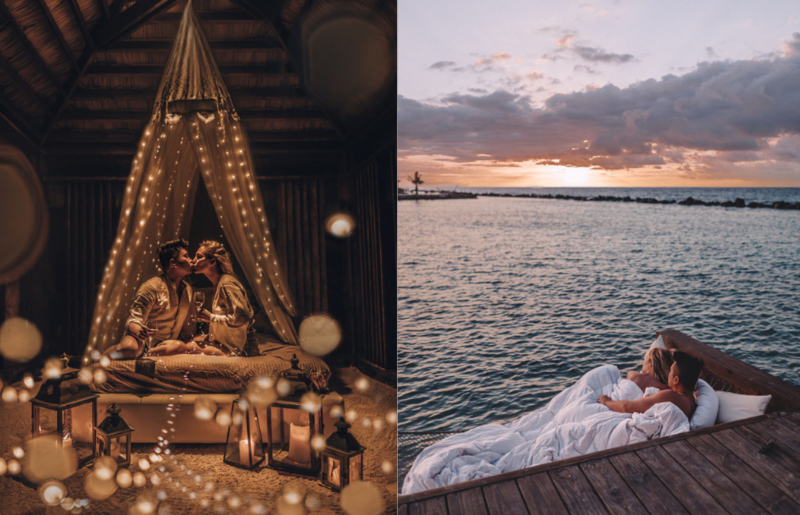 As a Dj himself, the groom had no other choice as he and his fiancée began making plans for their spectacular beachfront wedding at the Renaissance Beach in Aruba. To get to this beautiful beach, a small boat takes you from the Renaissance Aruba across the waters to the private Renaissance Beach. 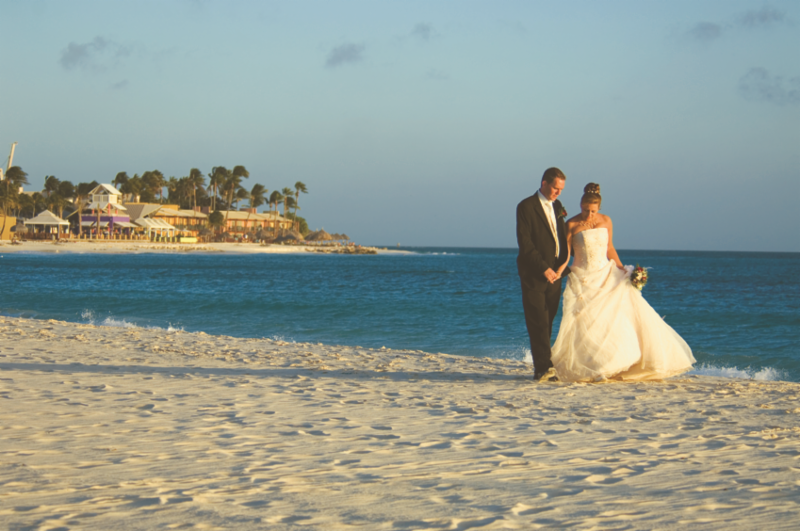 The beautiful couple began their vows as the sun set into the crystal clear Aruba waters right behind them. 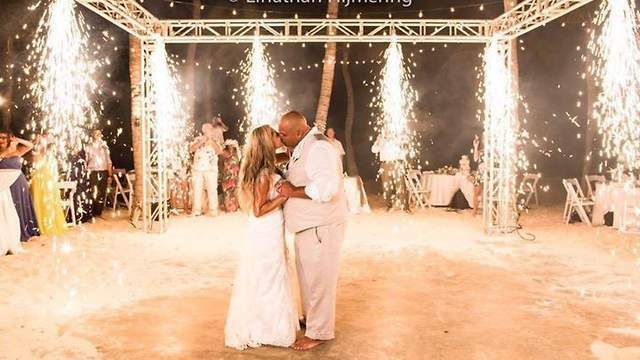 As they kissed, a violinist gracefully played the theme from Disney’s Beauty and the Beast and friends and family cheered as they knew this moment would forever be remembered. 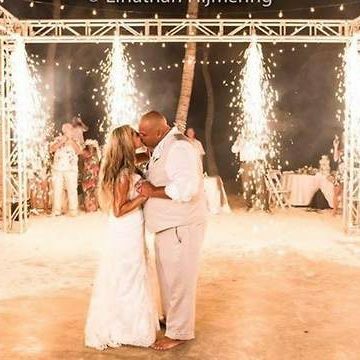 The couple chose Yellow by Coldplay for their first dance and a special surprise came at about 2:30 into the song; beautiful pyrotechnics showered the perimeter of the dance floor at the guests gazed in amazement at the true love of Danielle and Anthony. The guests danced the night away and the groom even came on for a set of his own. If there wasn’t enough excitement already, during the cake cutting, guests had handheld sparklers and posed for shots with their favorite couple.